The ZF Servoplan planetary gearbox series has been designed for direct mounting onto servomotors. The available wide range of sizes and the use of a modular system allows the application in almost any field of automation. Servo-controlled transmissions can be applied in multiple contexts. One- and two-speed servo drives with ZF Servoplan transmissions are applied wherever highly dynamic and exact positioning is required. Target output torques of 25 - 3,000 Nm are possible with different model sizes. 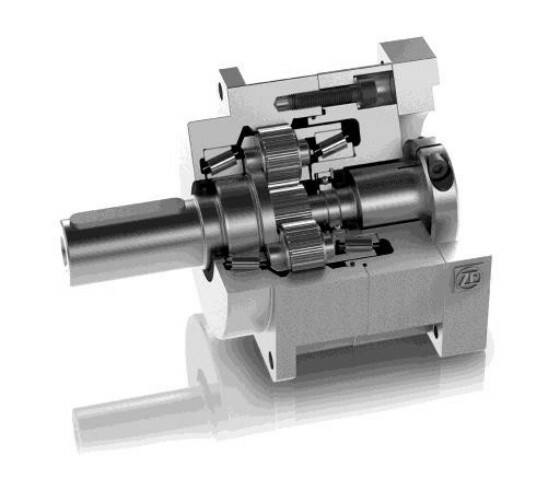 Planetary gear sets for servomotors are used for packaging technology, in forming technology, as well as generally for machines and facilities. Would you like further information on industrial drives & positioning systems? Are you looking for a partner, a workshop or one of our global ZF Aftermarket locations?